Swans are such beautiful creatures. 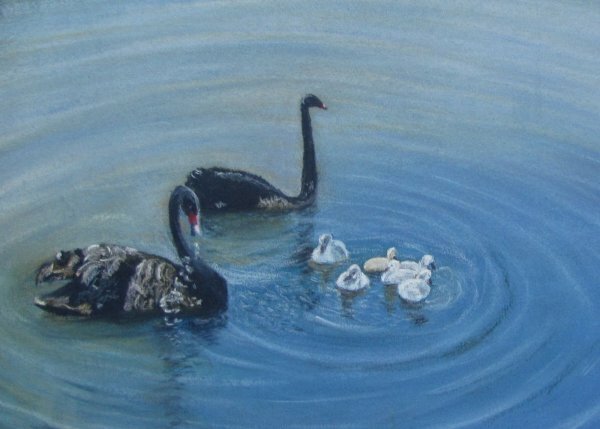 This little family in Gympie park caught my attention when I visited with my Grandsons recently. 450 mm x 350 mm. $185 plus postage and handling. The Wide Bay Region of Queensland is home to many amazing beaches. 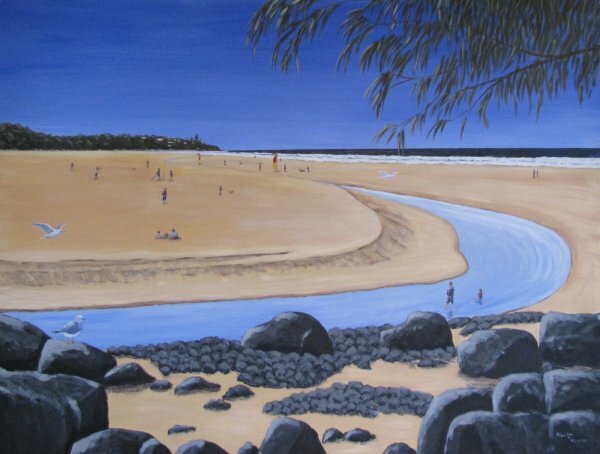 Kelly’s Beach is part of the Bundaberg/Bargara area. 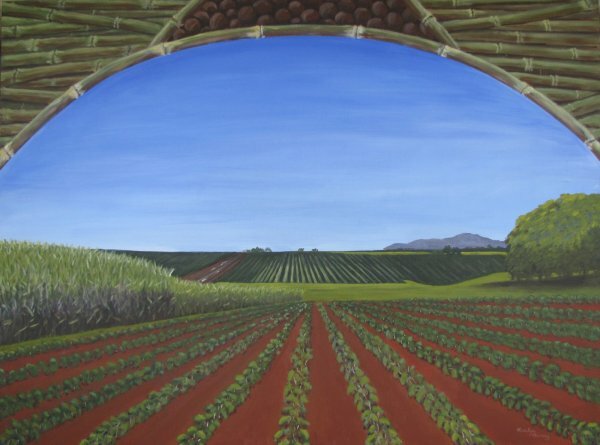 This painting depicts the changes in agriculture along the Bruce Highway between Bundaberg and Apple Tree Creek.